If you were questioning whether or not I loved you, let this be the answer! 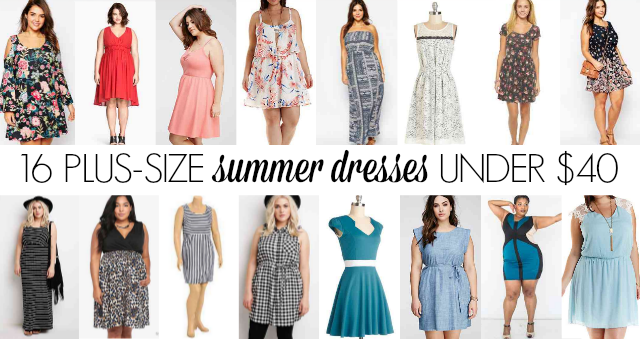 I spent my flight home collecting my favorite fat girl dresses under $40 and I found SIXTEEN OF THEM FOR YOU. And my 6 favorite ones are all under $25. Told you I loved ya. The 16 covered a lot of bases- Forever 21, H&M, Re/Dress, Old Navy, Modcloth, Charlotte Russe, Target, ASOS, Torrid etc... where else should I look for adorable sun dresses? I'm itching for something cute to sweat in this summer!